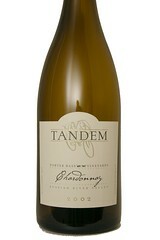 Greg L has made this wine the #1 Chardonnay in the world two times (Wine & Spirits "Top 100 wines of the year"). Biodynamically farmed by Sue Porter and Dirck Bass and their son Luke. One of the few age-worthy Chardonnays made in California.